Given the assignment by university president Monsignor James Kelly to create a radio station, Monsignor Gillhooly got WSOU up and running in just three months and provided a steady hand during the station’s early days. Assisting Monsignor Gillhooly in building WSOU was the station’s longtime chief engineer Tom Parnham, who helped construct the station and then remained with WSOU. A beloved teacher, mentor and friend to many Seton Hall students, Mr. Parnham served as WSOU’s chief engineer from 1948 until his death in 1994. WSOU’s studios were originally located underneath the Walsh Gym bleachers in Richie Regan Recreation Center. In 1998, the station was moved to a state-of-the-art facility inside a new addition to the recreation center. WSOU continuously works to keep its facilities up-to-date. The station now broadcasts digitally (HD-Radio) alongside its analog signal and streams via its website and iHeartradio. WSOU still utilizes its original 1948 broadcast tower and transmitter room and a number of historic items are preserved in the University Archives. 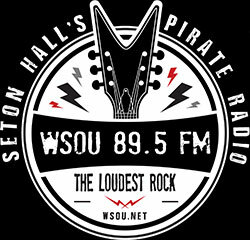 For most of its existence, WSOU has been a student-run radio station. Students manage the day-to-day operations of the station. Although a noncommercial station, WSOU’s management and staff structure is modeled on commercial radio, which provides students with enriching career-oriented educational experiences. Opportunities for student staff members include on-air hosting (DJ), production, promotion, newscasting, sportscasting, programming, sales and marketing, and engineering. WSOU draws students from all university colleges and programs, including communications, business, biology, education, nursing, sports management and diplomacy. 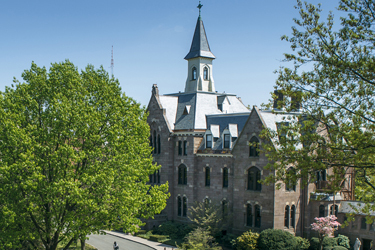 During its more than 65 year history, WSOU has gone through many changes. 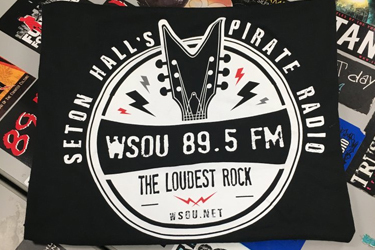 But one thing has not changed - WSOU remains consistently dedicated to enriching the lives of Seton Hall students while entertaining and enlightening its listening audience.